Zariza of Bulgaria, Princess of Savoy (1907-2000). Nice signed and inscribed photograph. no place. 170 : 120 mm. 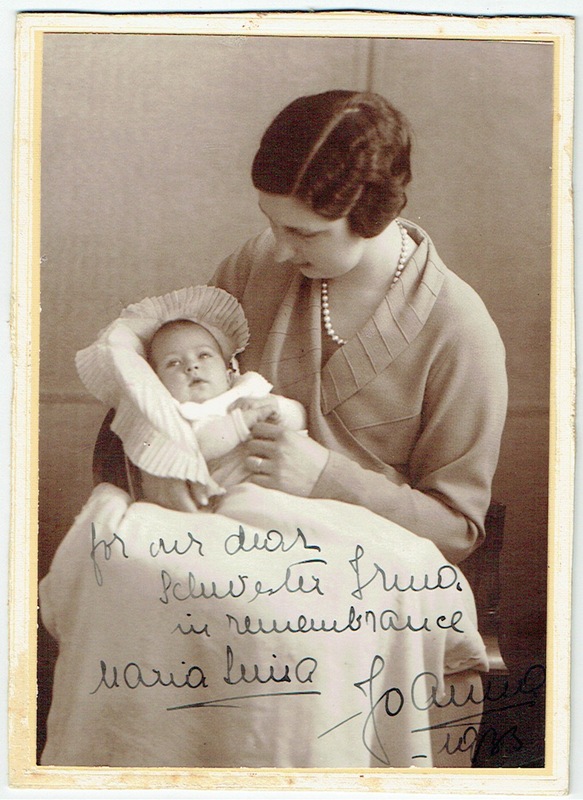 „For my dear Schwester Irma in rememberance Maria Luisa Joana 1933“. - Schwester Irma was the nanny of Maria Luisa. 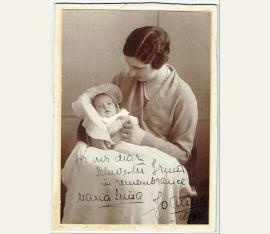 - Enclosed is an autograph card of Maria Luisa, Toronto. 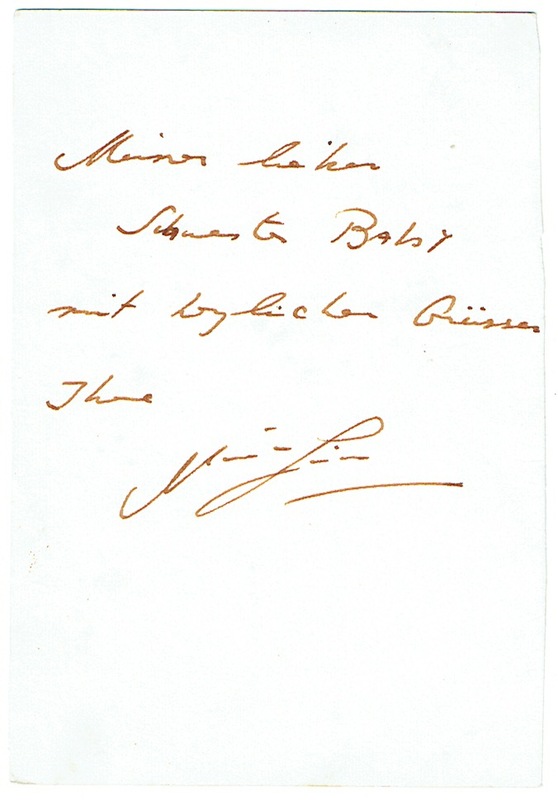 1960, inscribed to „Meiner lieben Schwester Baby mit herzlichen Grüssen Ihre Marie Luisa“.